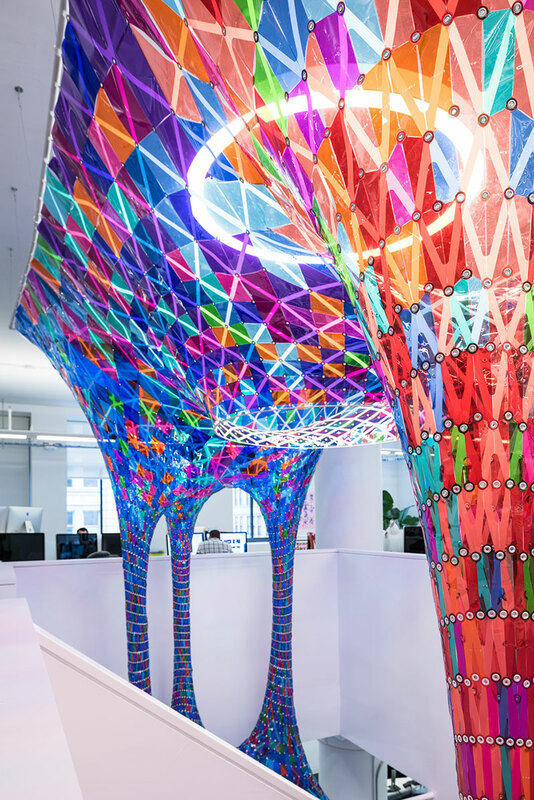 A colorful installation that resembles a stained glass window at the Behance office in New York by SOFTlab, a design studio that has designed and produced projects across almost every medium, from digitally fabricated large-scale sculptures to interactive designs to immersive digital video installations. 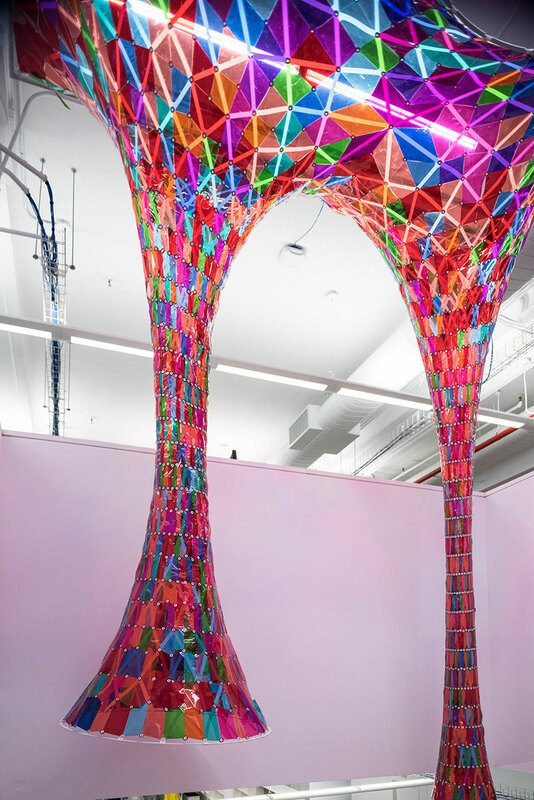 The installation adds an eye-catching piece of art to a clean space painted in white. 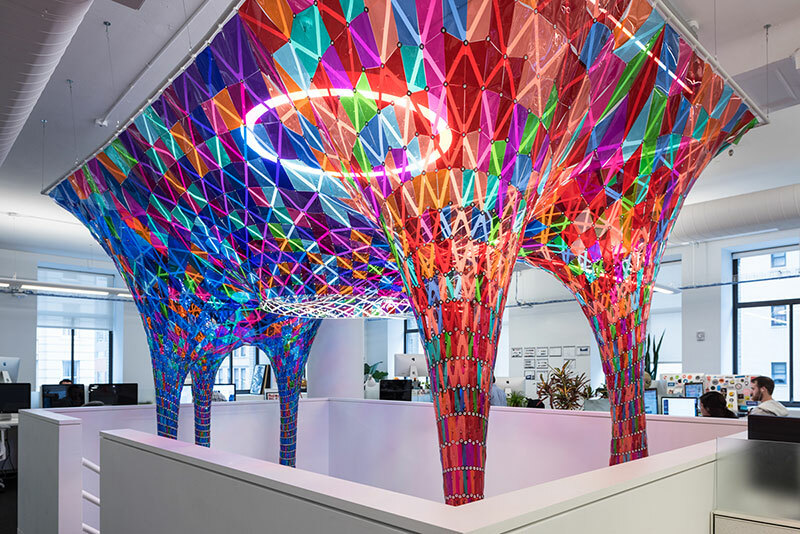 We were asked by Behance to design an installation for their new offices in NYC. 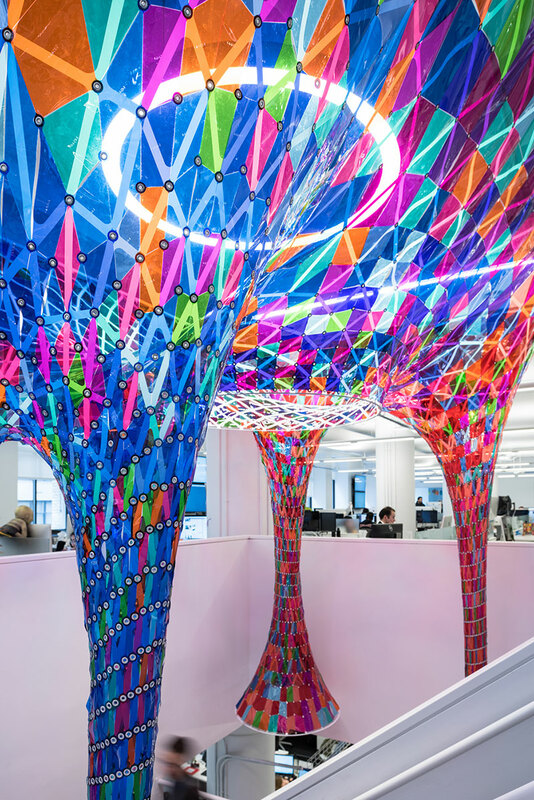 The office space is on two floors connected by a central stair. 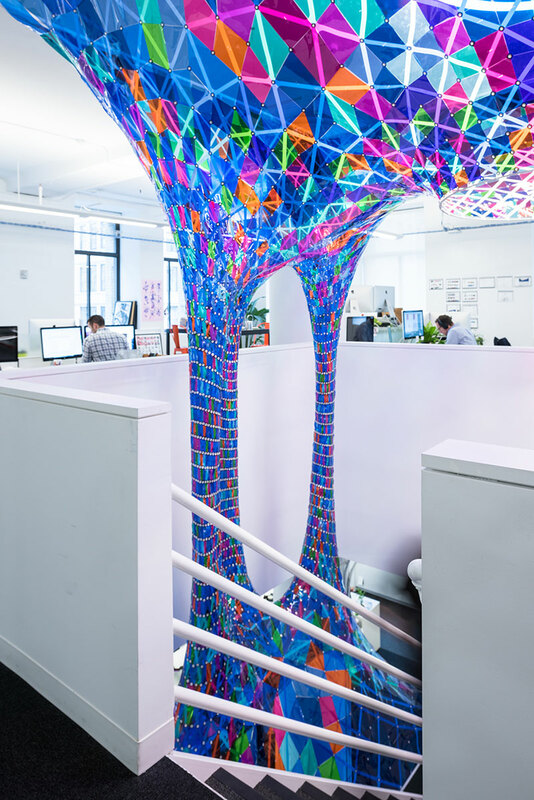 The stair became the ideal site to produce an installation that extends to both floors and can be seen from anywhere in the office. 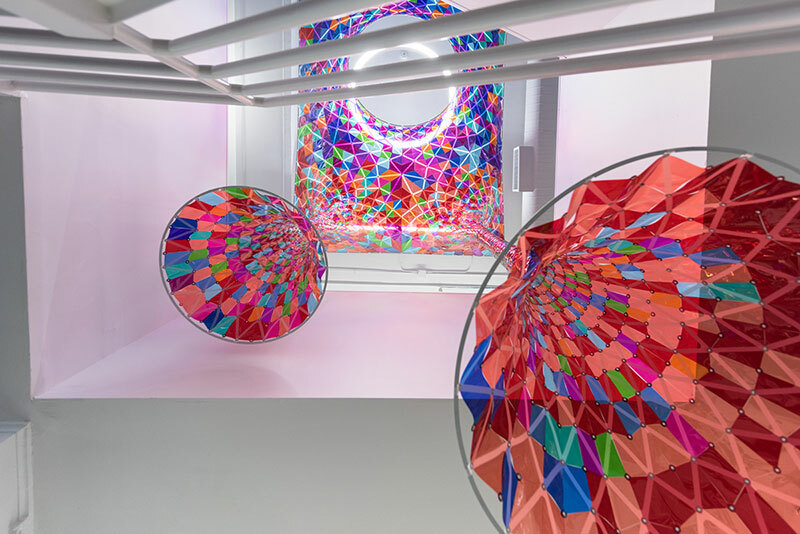 The design of the office is very clean and contains a lot of white materials and finishes so we decided to create an installation that acts as a kind of three dimensional stained glass window that casts colored light throughout the space. 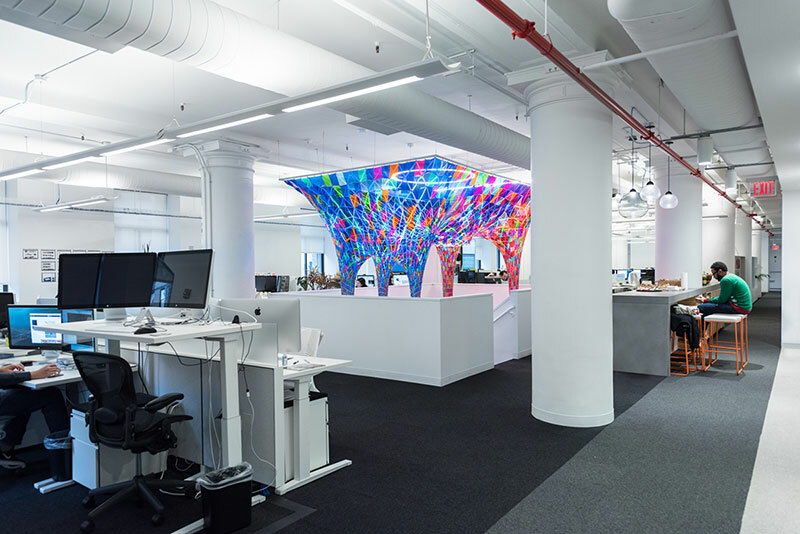 We used colors from Behance and Adobe’s (Behance’s parent company) brand palettes to create a transition from a red on one side of the stair to blue on the other side. We randomly mixed other secondary colors to make the piece more vibrant. 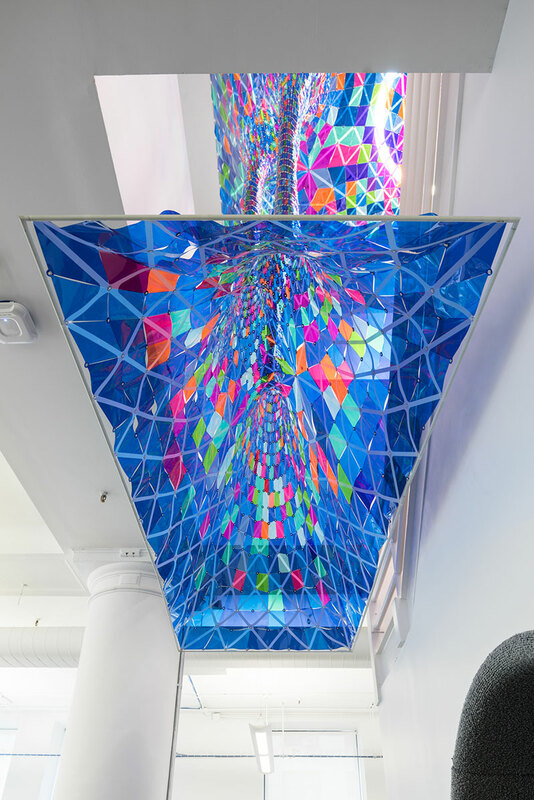 At the top of the stair the piece frames a singular feature light fixture above the landing of the stair and hangs down to frame some of the communal office seating at the base of the stair. 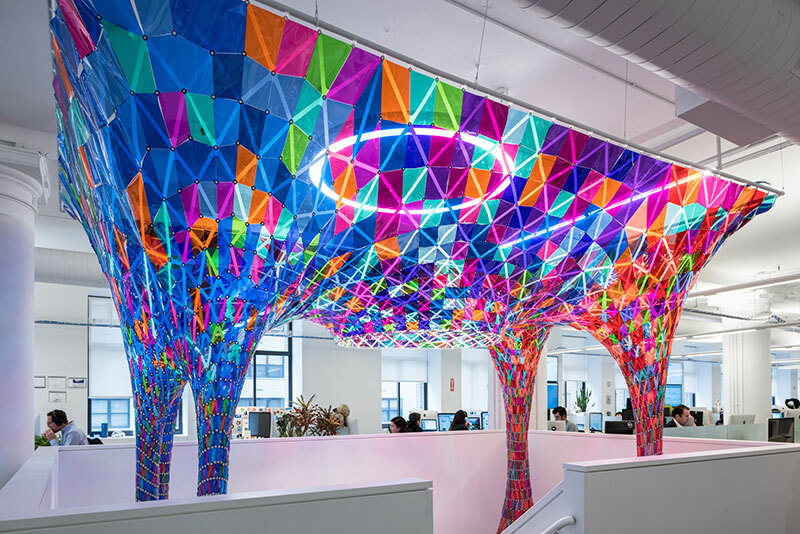 A colorful installation at the Behance office in New York by SOFTlab.